Disclaimer: Ex stock subject to prior sale. Out of stock delivery (8 - 10 weeks) after order confirmation. Disclaimer: Ex stock subject to prior sale. Out of stock delivery (8 - 10 weeks	) after order confirmation. High-performance machine for professional and heavy-duty home use. Comfortable backpack frame facilitates day-long operation. Trigger throttle for precise fingertip control. ECHO invented the power blower and has continued to revolutionist this means of clearing fallen leaves in the autumn and, throughout the year, clearing litter from streets, stadiums, parks and other public areas. 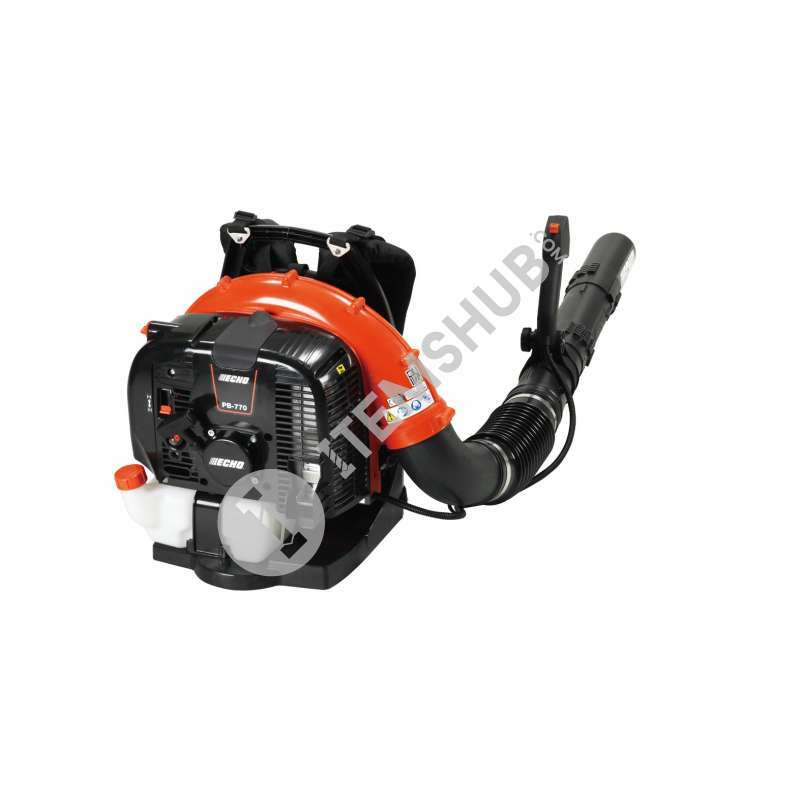 The PB-770 is a backpack blower with excellent specification,this backpack blower has the power to clear leaves and litter from parks, streets, stadiums, parks and other public areas. Featuring a super-duty air filtration system, 2 litre fuel tank and a lightweight design for operator comfort.